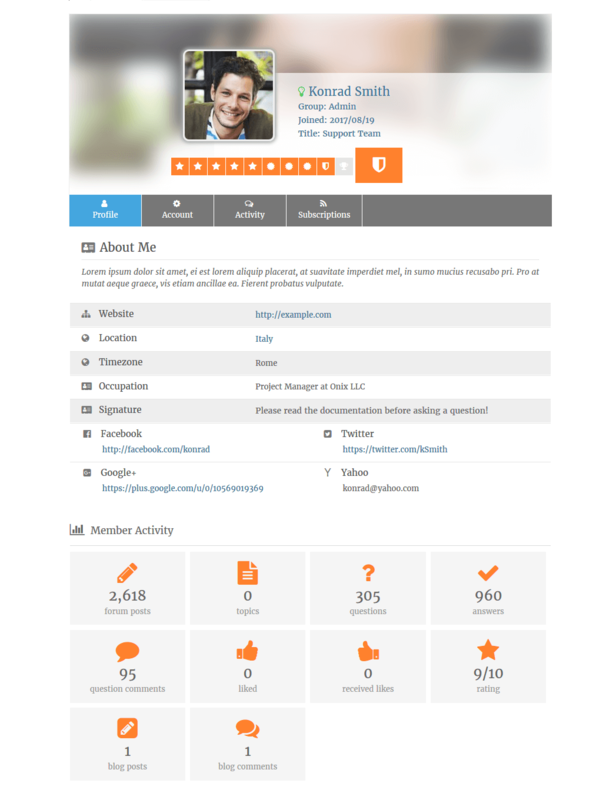 You can manage User Profile Page fields in Dashboard > Forums > Member Fields > Profile Page Tab. 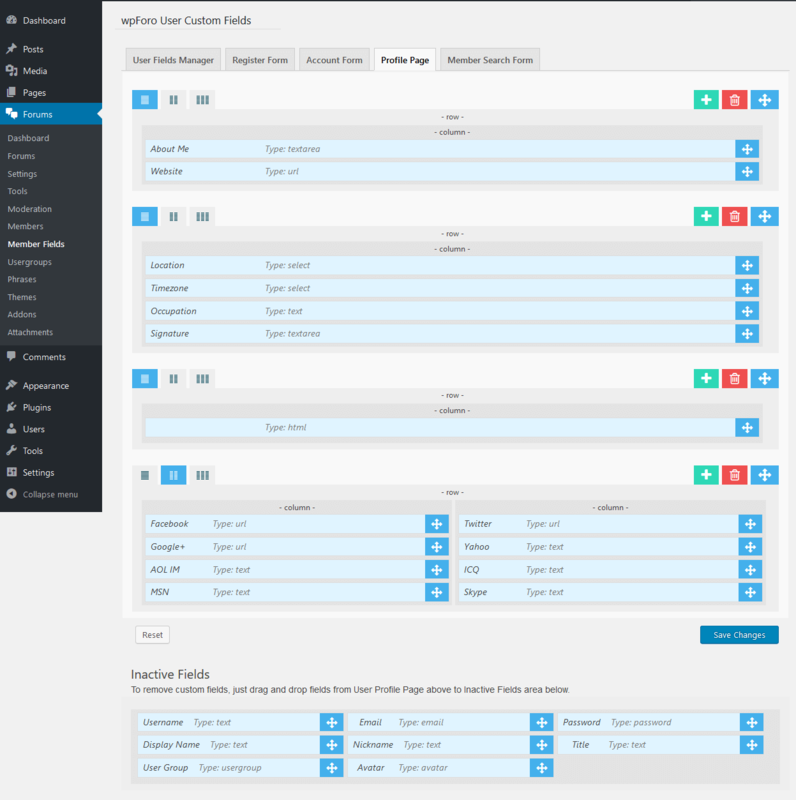 Here you can add/remove fields, manage field order and page layout (rows, columns). By default this Profile Page consists of four rows with different number of columns. Profile page is not a form, however it contains profile fields, which can be easily customized using this Profile Page builder tool. Using this tool you can manage profile page fields and layout. Using [|], [||], [|||] buttons on top left side of each row panel you can set one, two and three column layout for each row individually. Using [+] green button on top right side of row panel you can add a new row in page layout. Drag and drop field panels to set fields sequence (order). Drag and drop row panels to set rows sequence (order). To add a new custom field in form, just drag and drop fields from Inactive Fields area below to User Profile Page area. To create a new custom field, you should navigate to User Fields Manager tab. Please let us know if you've found an issue in this documentation. Please note that this contact form is not for wpForo support questions. This is a wpForo documentation feedback area. If you need any help with wpForo, please register at wpForo Community and open a support topic.